The current outbreak of hepatitis E in Diffa, declared by the Nigerien authorities last week, highlights the poor water and sanitation conditions in which the vast majority of displaced people and refugees in the region are living, Médecins Sans Frontières/Doctors Without Borders (MSF) said today. From December 2016 until 23 April 2017, 135 cases of jaundice have been detected in Diffa. Jaundice is one of the most common symptoms of hepatitis E, which causes a yellowing of the skin and eyes. Many of these cases were pregnant women who needed to be admitted at the main maternal and paediatric health centre in the town of Diffa, where MSF is working with the Ministry of Health; 25 of them died due to acute liver failure. Hepatitis E was finally confirmed by laboratory analysis in mid-April. Hepatitis E, caused by the HEV virus, can lead to liver failure and death. It does not have a specific treatment and is especially deadly in pregnant women. The disease spreads mainly through contaminated water. The current outbreak of hepatitis E is closely linked to the deficiencies in water supply, and hygiene and sanitation facilities for the displaced and refugee population in Diffa, some 240,000 people according to official figures. This is a particularly vulnerable population that for years has been suffering the consequences of the conflict between Boko Haram and the armies of the region. “The water and sanitation activities are clearly not covering the needs of these people, as we have been warning for months” explains Elmounzer Ag Jiddou, MSF’s country manager in Niger. To contain the outbreak, MSF has been working in coordination with the Ministry of Health for several weeks. We are supporting the training of health staff and dedicating specific human and material resources at community health centres and hospitals to ensure early detection of cases, referral to health facilities and adequate case management of patients. A group of children at a displaced persons' camp in Diffa, Niger, collect clean water. At the same time, our teams are conducting awareness campaigns on basic hygiene measures, such as handwashing. 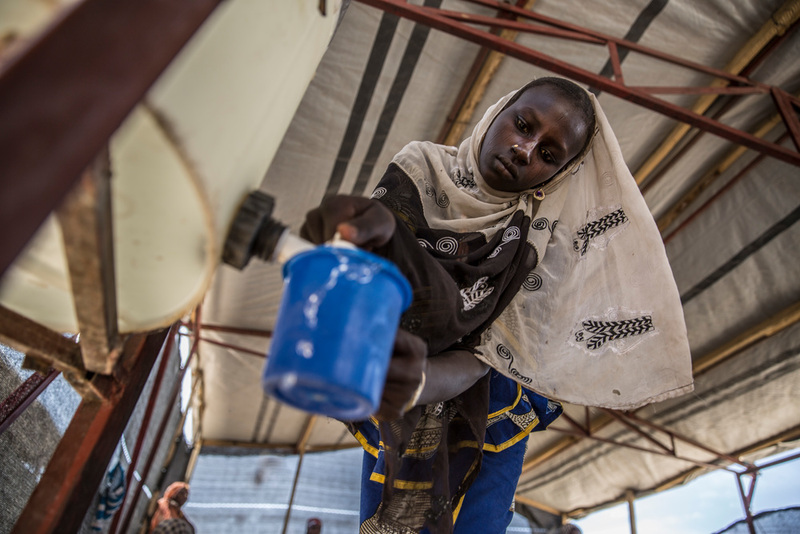 MSF has significantly increased its water and sanitation activities in Kitchendi, Garin Wazan and Toumour, where around 135,000 people have settled, the vast majority of which are displaced. We are now also distributing water chlorination tablets, soaps and jerry cans for 16,800 families in these localities. So far, 105,700 litres of water have been treated. Jerry cans, being utilised in the community, have also been cleaned to prevent the spread of the disease.